I first had the pleasure of meeting young Yoshinori-kun at Idlers in 2013 in Motegi (actually we first met at RWB, but that’s beside the point). He had been helping the entire event by running fuel canisters back and forth from our garage to the fuel station; a task delegated to all teams, however, Yoshi was there to pick up the slack for those not adhering to their duties. You could tell just being around the track and cars he was happy, regardless of what he was doing. Prior to this event, he frequented Noji’s shop in Ibaraki to help with little tasks here and there, and of course to absorb Noji’s love of the 86. 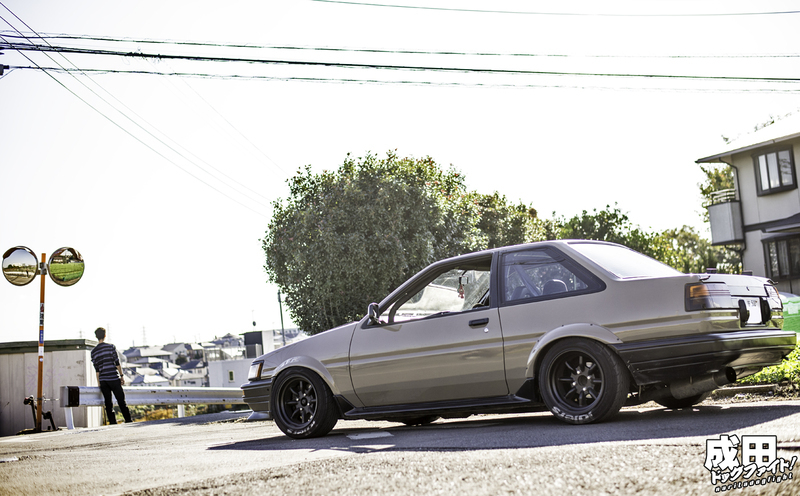 When I left Japan that time, we kept in touch via a chatroom with a few friends in Japan, and when he announced that he had finally gotten an 86, we were all very happy. 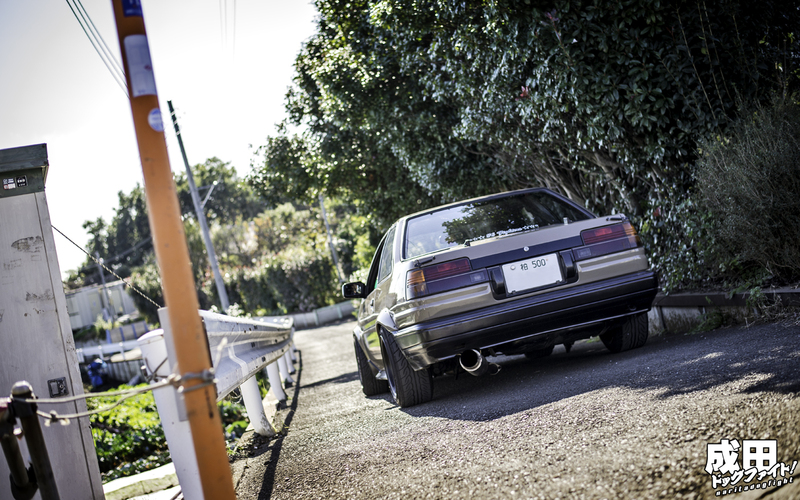 Naturally, the car was a reclaimed one from NojiReal, and a chassis that had already been blessed by his masterful touch. 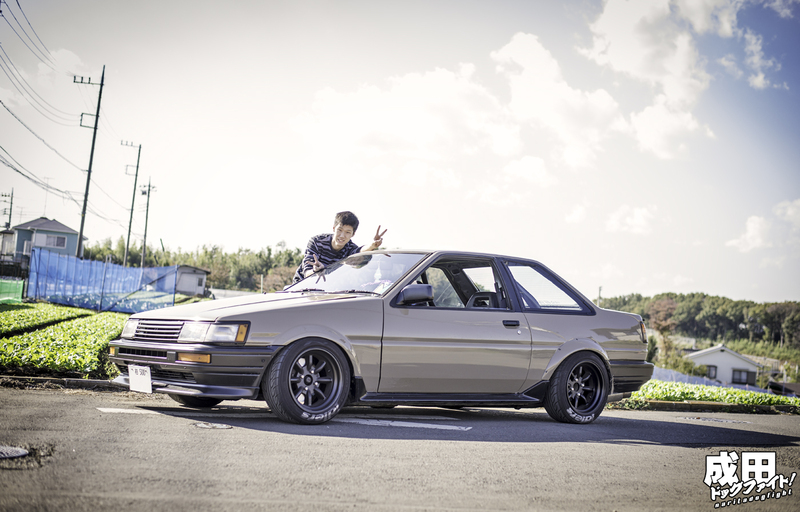 With the 4AG refreshed, and the exterior sprayed in a color that Yoshi picked in conjunction with Noji’s suggestions, Yoshi joyfully took ownership of the coupe. This afternoon was the first time I had gotten to see it in person and it was nothing short of what I expected. With it’s straight to the point interior matching the rest of Noji’s cars. No mistaking this car for an amenity filled commuter, no. 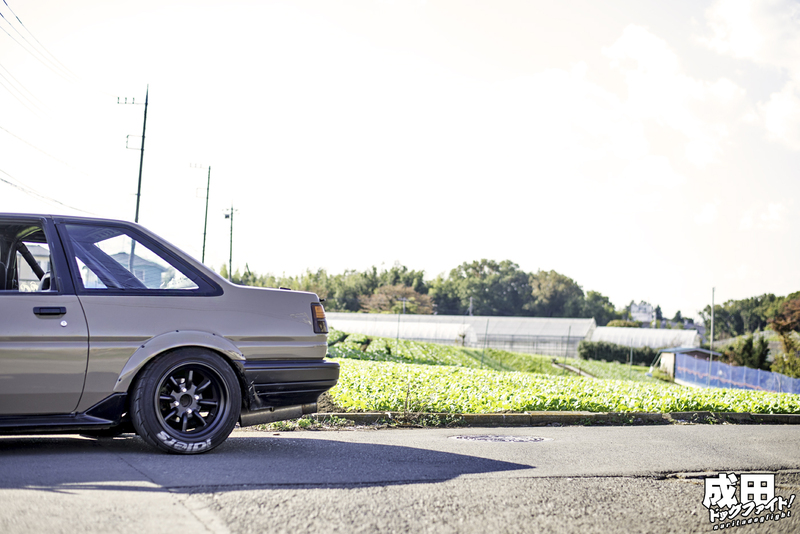 It was built for one purpose; to race…and also to get Yoshi around town. Which he doesn’t mind in the least. A chilly, sunny afternoon spent in a wash of youthful exuberance left everyone with smiles. I had jokingly asked Yoshi about competing in next year’s Idlers event, to which he replied, “No, no, no, it’s much too early!” Although you could tell there was a hint of yearning in his eyes. The fact that he finally got his dream car after personally having seen his enthusiasm at last year’s Idlers event warms my heart even more. I’m sure he’ll use this new found ardency to continue learning as much as possible from Noji; and hopefully one day I’ll get to race alongside him as well. Lucky man, I hope to be that lucky some day.